1869 rendering of the Mannheim Synagogue, held by the Stadtarchiv Mannheim (Bildsammlung 15355). The first known synagogue to be built in Mannheim was under the concession of Karl Ludwig during the 1660s. Its exact location is uncertain. The second synagogue to be built in 1670 was situated at F2, 13/15 (originally, “Quadrat 39, Nr.6”). This building was destroyed in 1689 when the city of Mannheim was sacked by the French. The third synagogue, built on the same site, was completed in 1700. This structure was insufficient with the influx of Jews to Mannheim during the early 19th century. Plans to build a completely new synagogue were commenced in 1851, starting at F2, 13. The building was dedicated in 1855. It would undergo numerous renovations, including the construction of an organ and choir loft (1899), and further renovations in 1907. 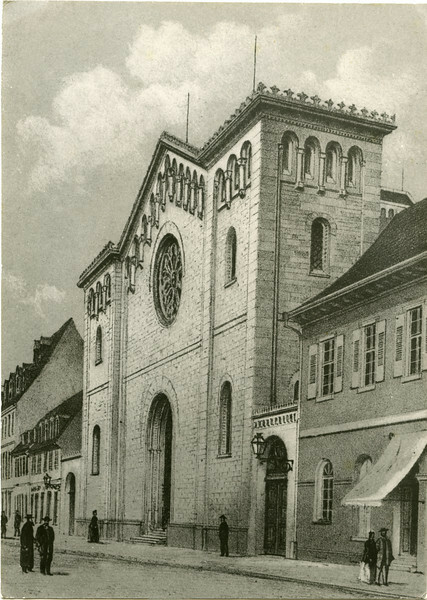 In Mannheim’s 1919 Adressbuch der Stadt (city address book), the F2, 13/15 synagogue is referred to as the “Hauptsynagoge,” or “Main Synagogue” of the city, however, there was another synagogue, the "Klaussynagoge," which remained orthodox. The Hauptsynagoge, while fundamentally orthodox in practice (separate seating for men & women, etc. ), included sermons in the vernacular along with other liberalizations. 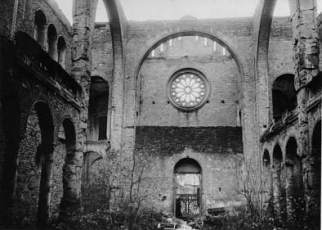 The building was destroyed during the Nazi pogrom known as Kristallnacht (“Night of Glass”), 10 November 1938. The photographs that follow show the building in ruins. We do not know who took these pictures or how they found their way into my grandfather’s possession. If you have pictures of this structure, or know anything about these photographs, please contact me. 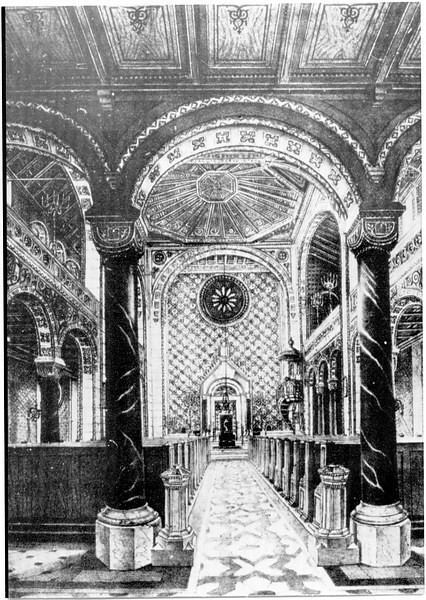 19th century rendering of Mannheim Synagogue, interior. The side arches and balcony are visible in this drawing. Compare following photographs. This image was drawn from the website, http://www.jgm-net.de/Geschichte/synagogen.htm. Yet more information in photos of the Mannheim Hauptsynagoge and the Klaussynagoge can be found at http://www.alemannia-judaica.de/mannheim_synagoge_q.htm. Hugo Chaim Adler, Obercantor of the Mannheim synagogue (c. 1936). You can see how accurately the 19th century drawing renders the interior. In the right photograph, Adler is standing in the very place depicted in the drawing above. In 1938 there were approximately 6,000 Jews in Mannheim. 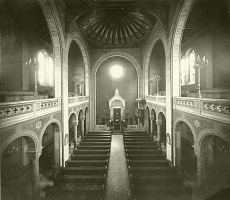 The organ and organ loft were added to the Mannheim Hauptsynagoge in 1899. 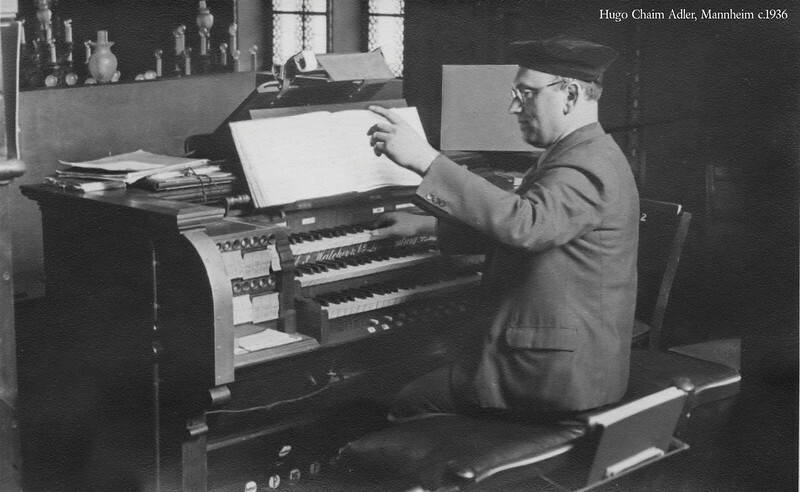 Sitting at the organ is Hugo Chaim Adler, cantor of the Mannheim synagogue from the early 1920s until its destruction in 1938. 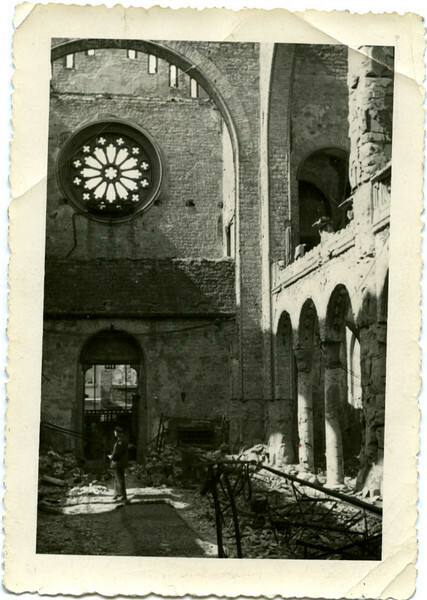 Adler went back to the synagogue after its destruction to see if he could salvage any music manuscripts. While rummaging through the ruins, the organ, which was hanging precariously, came crashing down. 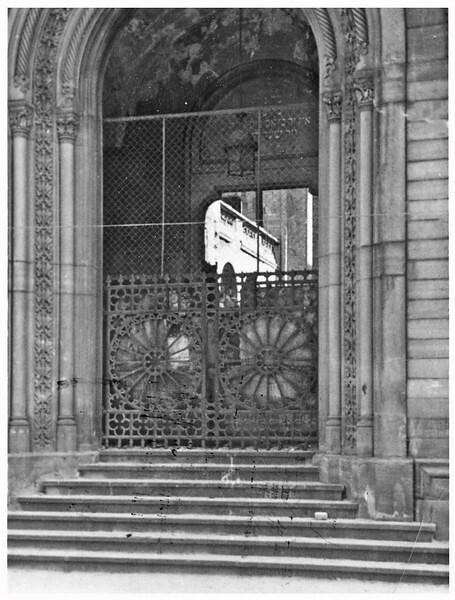 Entry gate to the Mannheim Hauptsynagoge, F2, 13/15. The roof collapsed during the violence of Kristallnacht (November 9-10, 1938), hence you can see daylight as you look through the front portal. Photographer unknown. Photo was in the possession of my grandfather, Hugo Chaim Adler, who served the synagogue from the early 1920s until its destruction. The key depicted in the header of this page is the key to this main gate. It was in the possession of my grandfather, Hugo Chaim Adler, upon departing Mannheim in 1939. 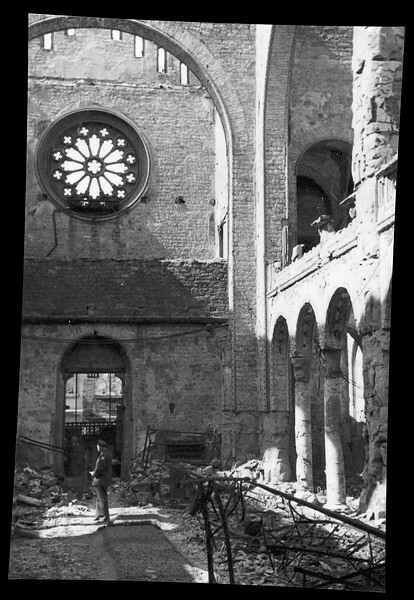 Interior photograph of the synagogue of Mannheim, Germany, taken on 14 November 1938, just days after its destruction during Kristallnacht on 9-10 November 1938. Photographer unknown. 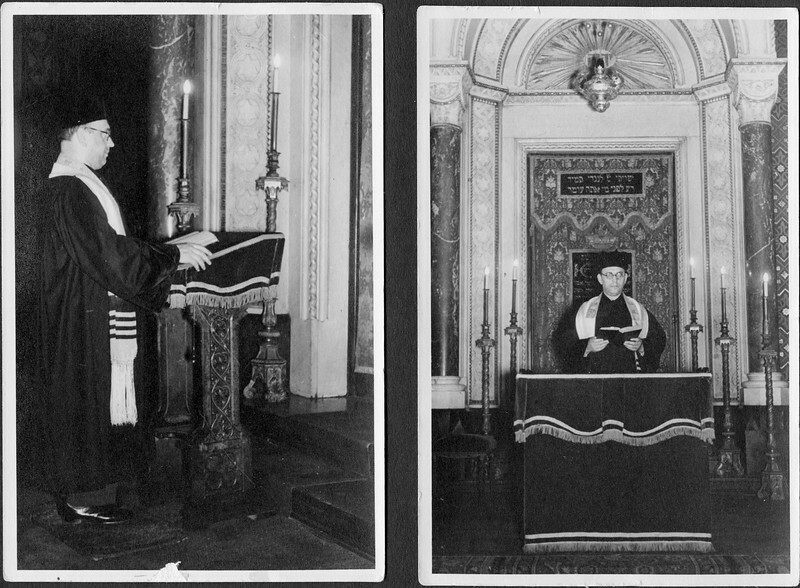 The image was in the possession of the synagogue's cantor, Hugo Chaim Adler, who served the synagogue from the early 1920s until its destruction. (Image restored and lens correction applied; original image follows). Here is the original of the previous image, unrestored.